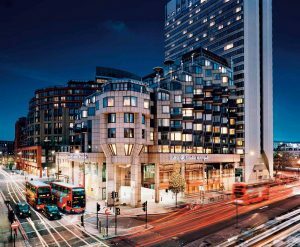 The conference will be hosted at the Hilton London Metropole, one of Europe’s largest venues for international conferences with state-of-the-art facilities and located in the center of London. With superb transportation links, Hilton London Metropole is located just 15 minutes from Heathrow Airport via the Heathrow Express at Paddington Station, and 10 minutes from the Eurostar terminal at St Pancras International. Hilton London Metropole is just a two-minute walk from both Edgware Road underground stations serving the Bakerloo, Circle, District and Hammersmith & City lines. 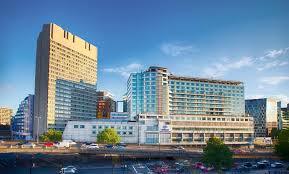 The Hilton London Metropole is located to the north on the corner of Edgware Road and Harrow Road. The hotel is approximately half a mile north of Marble Arch, Oxford Street and Hyde Park and next to the A40(M), with easy access to M40, M1 and M25. The car parking is located in Harbet Road, just at the back of the hotel. From the hotel entrance in Edgware Road continue north and turn left at the first corner into Harrow Road. Once in Harrow Road please turn left at the first corner again into Harbet Road. It is extremely easy to get to London as it is served by many flights into its five major airports: London City Airport, London Gatwick, London Heathrow, London Luton Airport and London Stansted. From continental Europe, London is served directly by trains from Brussels and Paris. Visit the website FlightsFrom.com to find your airline routes and non-stop flight schedule from your closest airport. The Heathrow Express will bring you directly from Heathrow Airport to Paddington Station, which is just minutes from the conference hotel and venue. The London Underground rail network, or “the Tube” is a great way to get around central London and will be an integral part of most people’s stay in the UK capital. London’s iconic double-decker buses are a quick, convenient and cheap way to travel around the city, with plenty of sightseeing opportunities along the way, and of course, the well-known black cabs can be flagged down on the streets from just about anywhere.